What a great find!! This charming home features 2 master suites, 2 spacious additional bedrooms, 3 full baths, and an optional 5th bedroom/office. 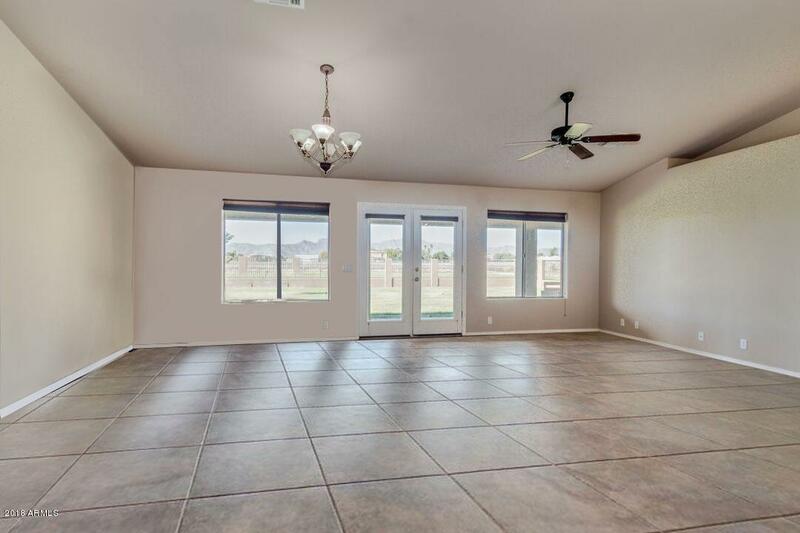 With room to spread out, this floor plan has endless possibilities. 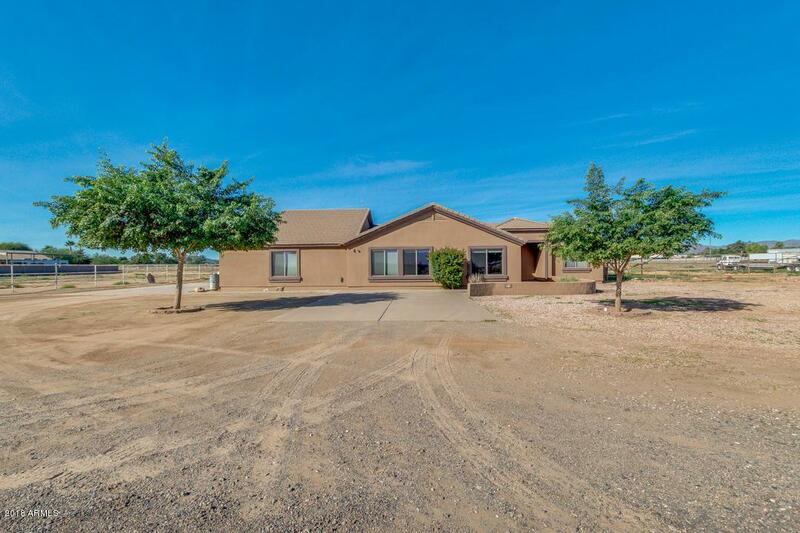 Situated on 1.22 irrigated acre lot, lush green grass, mature trees and room for the horses to graze are just a few of the exterior amenities offered here. 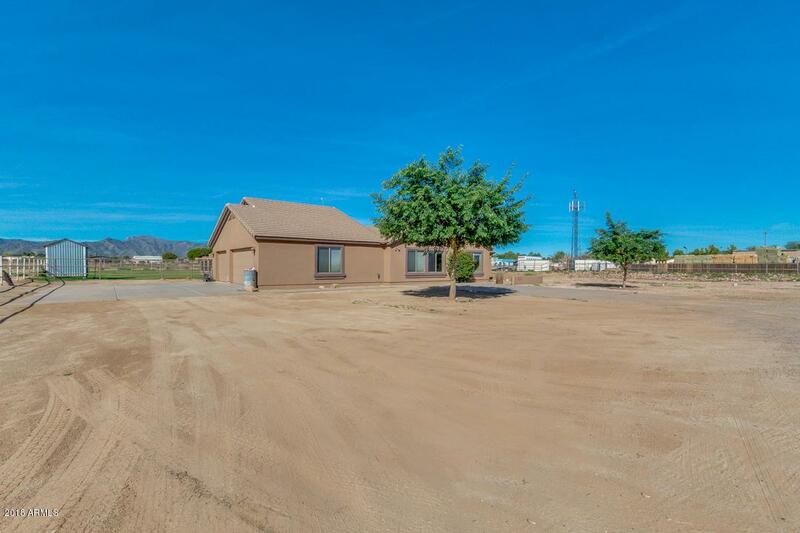 Amazing mountain views and beautiful sunsets over the White Tank Mountains can be seen from your very own covered back patio. 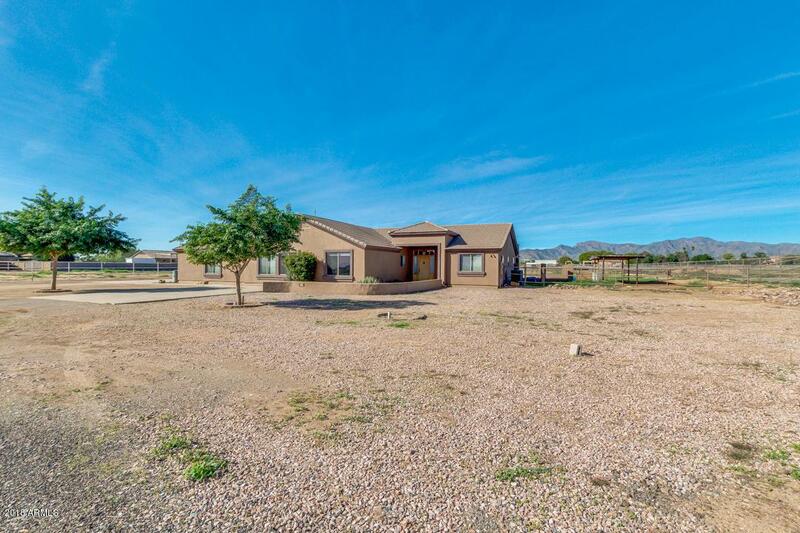 Come experience life just outside the city, bring the toys, bring the horses and leave behind the HOA! Call today!